Last summer, WUSA9 watched for Metrorail fare evaders at Gallery Place Metro. Over a 20 minute period, we saw riders skip the fare gate 10 times. 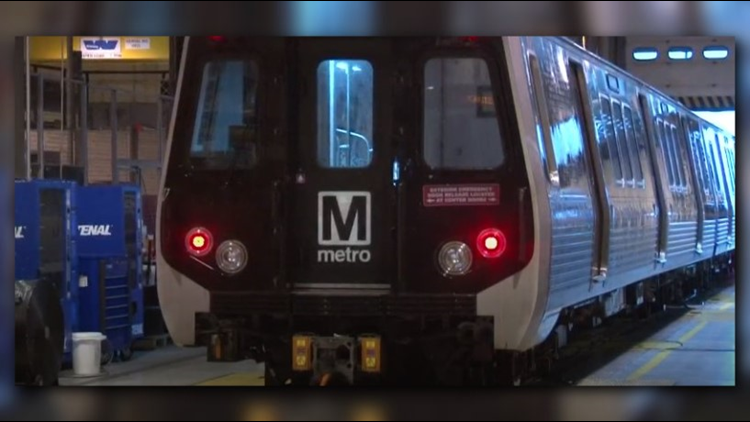 WASHINGTON -- After D.C. council voted Tuesday to decriminalize Metro fare evasion, the transit agency is calling the measure "unfair" to riders who do pay. Two of 13 council members voted against the bill, which would turn a $300 criminal fine into a $50 civil penalty. The bill must face another vote before going into effect sometime next year. "Metro believes DC's proposal to decriminalize fare evasion is ill advised," said Metro spokesman Dan Stessel, underscoring that most riders-- "including those of limited means"-- pay their fare every time. The transit agency believes it is losing $25 million in revenue each year from those who don't pay fare on Metrobus alone. "If decriminalized as currently proposed, there will be no way for Metro to enforce fare collection in DC in a meaningful way," said Stessel, stressing that jurisdictions get fine money, not Metro. "This is about setting the expectation that every rider taps a card, every time." Proponents of the plan say that fare evasion highlights a racial disparity. The Washington Lawyers' Committee for Civil Rights analyzed more than 30,000 citations by Metro Transit Police and found more than 90 percent of those cited for fare evasion were black. The data found that most fare evasion citations were given out at Gallery Place Metro with Anacostia Metro coming in second. The two stations combined made up one quarter of all citations. Metro stressed that most fare evaders usually receive a citation or a warning that does not appear on criminal records in The District. Stessel said only eight percent of those stopped for fare evasion are arrested, typically for a more serious crime such as an outstanding warrant or assaulting an officer.